Ben is a native son, born in Ithaca, raised in Dryden, New York and schooled at Cornell University, where he graduated with a Bachelor of Science in Plant Sciences- Viticulture and Enology. Although he has deep roots in the Finger Lakes, his winemaking is influenced from lessons learned across the globe. He has worked abroad in France, New Zealand, Australia, and Chile, and through the USA in Sonoma, Long Island, and Manhattan in addition to the Finger Lakes. Work in New Zealand was a key experience, where Craggy Range introduced Ben to the nuanced oak character of large format barrels and with Muddy Water and Greystone where he learned to trust native yeasts and indigenous fermentations. France and time spent with Domaine Blancardy taught the importance of food and wine together on the table, shared over long conversation with friends. Working in Sonoma with Williams-Selyem cemented Ben's approach to Chardonnay and Pinot Noir winemaking, then moving to Manhattan and City Winery gave Ben four years to synthesize all of those lessons into his own winemaking style. Making wine in the Finger Lakes is an opportunity to return home and contribute to the fabric of the region and its permaculture. 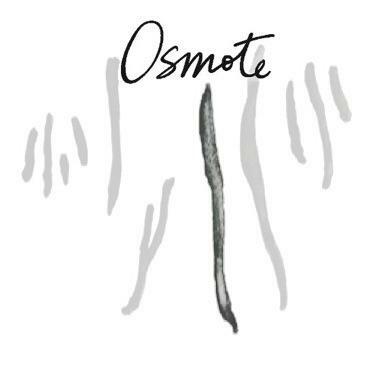 Ben feels that by adding to the viticulture of Upstate New York, Osmote is helping to ensure that central New York remains a vibrant, green ecosystem and that the Finger Lakes water stays protected by the green filters of the vine rows. This should maintain a natural state around the lakes, so that future generations can grow up much the same way he did.